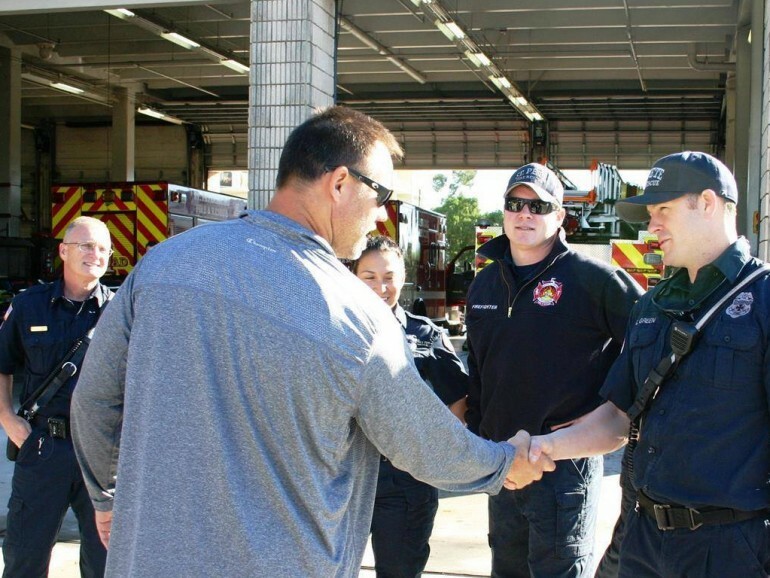 For the 8th straight year, Mike, Nicole and the Alstott children continued the Foundation's tradition by saluting some of our local heroes today. 32 turkeys, 192 cans or corn, 192 cans of green beans, 128 packages of dinner rolls, 62 boxes of instant potatoes, 62 boxes of stuffing, 62 pies, 32 cans of whipped cream, and 64 jars of gravy were delivered to 26 fire stations at 24 stops earlier today. The quest to deliver the Thanksgiving meals to all St. Pete Fire Rescue Stations, Pinellas Park Fire Departments, Lealman Fire Departments, St. Pete Beach Fire Departments, The Treasure Island Fire Department, The South Pasadena Fire Department, The Gulfport Fire Department, and the Madeira Beach Fire Department took 8 hours to accomplish but was worth every second to be able say 'Thank You' to our local heroes that have to work this Thanksgiving Holiday.